I am still in the beginning stages of learning the ins-and-outs of blogging despite a decade of editing other people’s websites. I have had many bloggers and readers personally reach out to me and tell me that I have inspired or touched them in one way or another. And a few days ago my fellow blogger, Bonny, took it yet another step further. 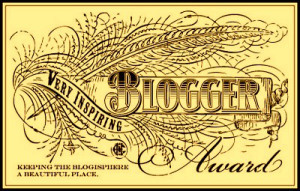 She publically nominated me on her blog Thoughts and Things for the Inspired Blogger award. And I love it, so thank you, Bonny! For the most part these blogging awards are simply tools used to connect bloggers with one another to reach a greater following. And that is just fine. Blogging, after all, is about community. However, for me, I use them differently. I use them to tell someone how I feel about them, their work, and how they are impacting me and my efforts to be a part of the Blogging World. So I toss out the rules when presenting awards and do not require that people pass them along like a chain letter. Those rules, for me, seem to lessen the very real connection of people and feelings that come with nominations for these accolades. However, that is my point of view and I believe we are all entitled to our own viewpoints and we are allowed to change the rules, if it hurts no one, and that is how the world continues to change and develop. Well, of course. I believe in always being courteous and respectful. Okay, so I did not exactly “list” the rules though they are all addressed in this posting. So please, continue to be yourself as you continue to blog your life, your way. Simply letting you know that you inspire me, that’s enough for me. Follow the rules, don’t follow the rules, post or don’t post. All that matters to me is that you know that you are helping me to become a better writer, a better blogger and a better community member. So be true to yourself, your needs, your ethics and morals. This is the rule I love and am excited to share. And I hope those I choose to pass this award along to in the future will themselves choose to follow this “rule” as it just brings us closer with one another. 1. I love watching baseball, football and parades, but I hate apple pie, pizza and coffee. Yes, I promise I am a born and bred American living in the land of coffee. 2. When I go to a party, I become a wallflower. Food becomes my bodyguard and best friend. We’ve never had so much in common as we do at a party! 3. I have been engaged three times but never married. I have remained friends with every boyfriend, fiance and lover I’ve ever had albeit one (he was physically abusive). 4. I have lived in a white-collared world, worked in the blue-collar sector and owned a business. 5. Jesus is my Lord and Savior. 6. 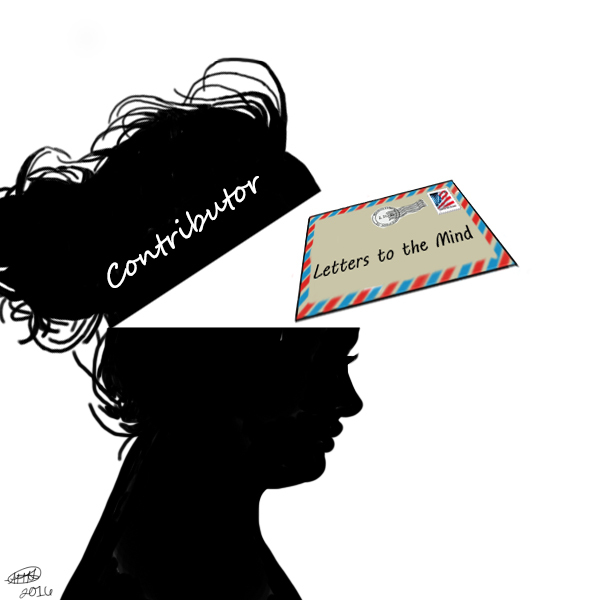 I use a nom de plume. However, everthing I am is visible in my blog… you just have to read beyond the words. 7. I grew up surrounded by very unique circumstances some of which may become apparent in some of my posts, and all of which certainly helped sculpt the unique person I am today. Next > I’m a Little Prince! I just think it should be sincere, ya’know. I mean, I know you gave it to me for sincere reasons because we’ve talked about it. But if I am sent an award by someone that I’ve never spoken with then it just seems like perhaps they included me randomly because the rules said they needed so many people. That’s just not how I see the world. I think blogging is about truth. So, I am being me, and giving my comments, my events, my trophies and nominations all with truth and sincerity. Thank you again, for the nomination! Have a wonderful day! I never got notification of this! Now I am off to deal with parade details! Well done. Yes, I certainly appreciate your take on things. Thanks Chris 🙂 Like I said, sometimes I just want to go a little further in letting people know how or why I appreciate them. Thanks for checking it out!